The winter always gives us renewed enthusiasm for the beauty that surrounds us. We are grateful for our farm where we grew up, the profession that is so endearing to us, the rich heritage our ancestors passed on, and the opportunity we have to share it all with you. 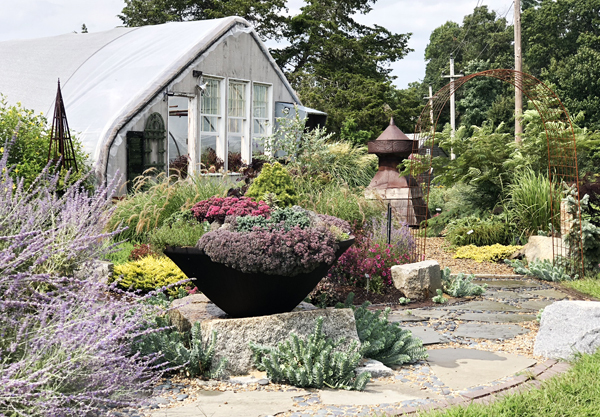 Striving to stay on the cutting edge of the green industry, we spent the fall and winter months researching, locating and purchasing the latest and greatest in plant material. 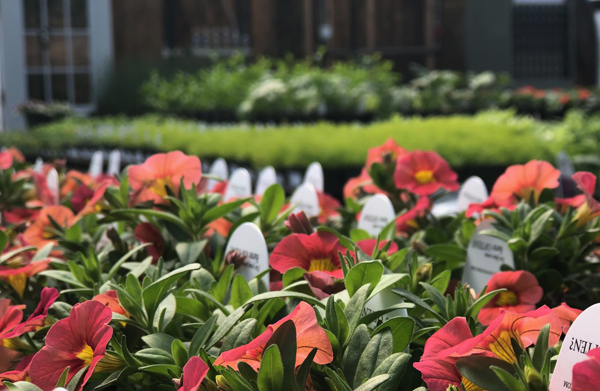 These plants are now growing in our 14 greenhouses getting ready for their debut and hoping they will find a final resting place ‘showing off’ in your yard. We are looking forward to welcoming you in 2019 and offering the most unique shopping experience at our flower farm of distinction. Jan and Henry and the rest of the Pettengill Farm family. A gift for any season or special suprise! For that hard to buy for friend or family member! 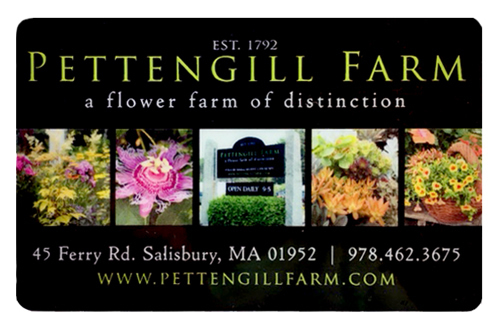 Please call us at 978.462.3675 or email us at info@pettengillfarm.com, providing us your Name and contact infomation as well as with the Name and Address of the special person you would like the gift certificate sent to and we would be happy to help you suprise them with this special gift! Please contact us if you are interested in having us Host a Meeting and presentation for you! ©2001–2019 Pettengill Farm. All designs and photography are the exclusive property of Pettengill Farm and Dovetail Design. Any use of these materials without the express consent of Pettengill Farm and Dovetail Design is prohibited.